Belgian rucksack with removable ruck-straps and removable long strap. 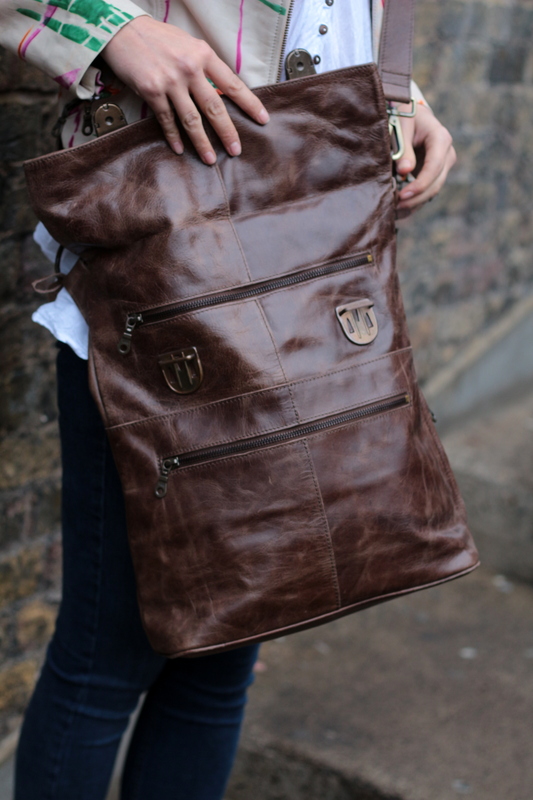 This amazing crossbody bag convertible to rucksack and backpack is our very own ‘ruckbag’. It has a zip under flap and at bottom of bag. 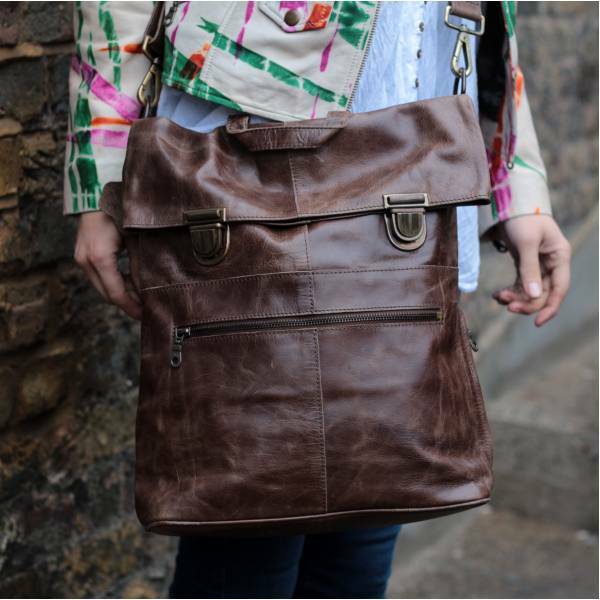 This bag measures 39x40cms with a 10cm flapover. There are two 26cm zip pockets at the front of this bag. It has an internal zip pocket built into the black waterproof lining. The handle measures 26cms. The ruck handles are not removable but we also do this model with removable ruck-straps. This bag has waterproof lining to protect your documents or wear when cycling. 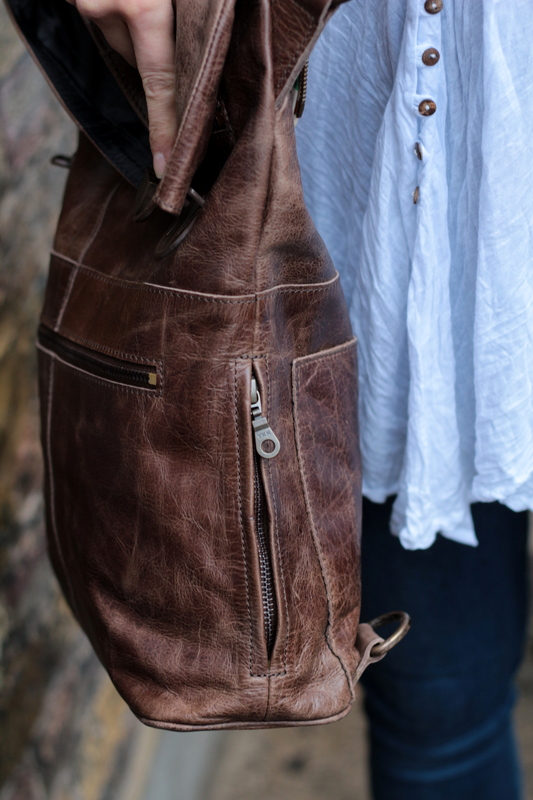 The long strap for cross body bag is also removable and adjustable. This is a really amazing bag and recommended for executive, cyclists and students alike. This brown leather is a quality lightweight leather.